Stochastic hill-climbing algorithm to approximate a picture by triangles (algorithm and source code). 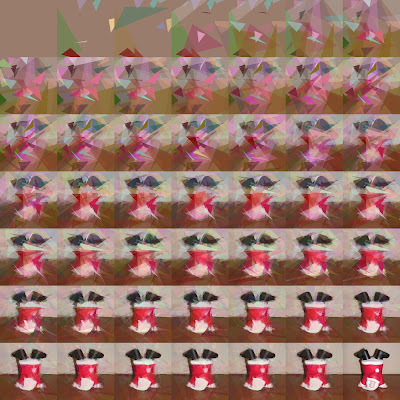 This image contains 48 images out of 1000, from iterating for 11000 generations the evolution code. The source image is the last square in the tile set.